... is used to interpret your learning tasks. I don’t want to learn that! This Energy Diagram shows in a graph the tasks that your soul has chosen. It displays where non-implemented energy will make itself felt as abnormal sensations, as a clear indication to your soul that you are thinking and acting wrongly. 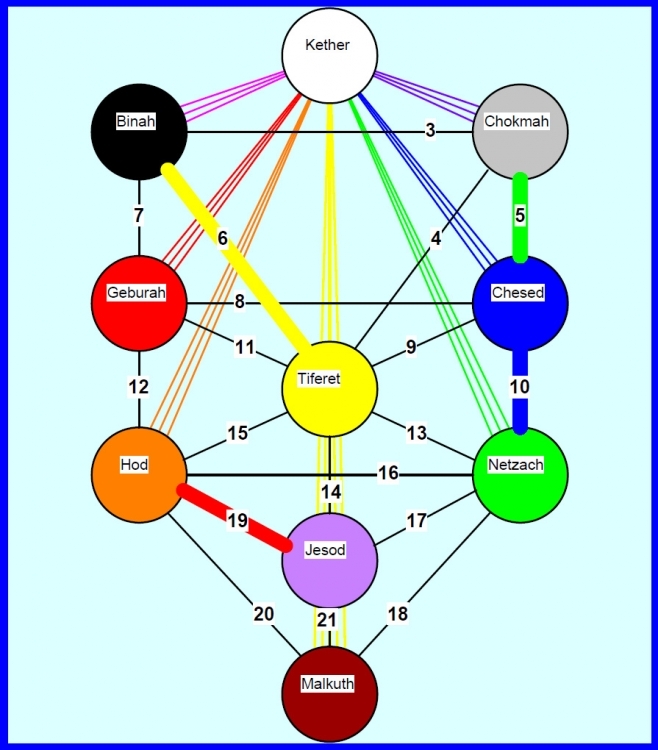 ... is the central diagram of Kabbalah, from which further information about a person’s soul may be gained. the topic of transformation, which describes the strength of character with which you should approach your life tasks; and the objective topic, which shows you which tasks your soul has set as its objective. These 3 topics will guide you and accompany you throughout your entire life.